Hello friends! I hope you are all had a fun weekend and amazing start to your Halloween week. We had a neighborhood Halloween party on Saturday and it was an absolute blast! It was so nice to have a date night with the hubs and get out of the house just the two of us. 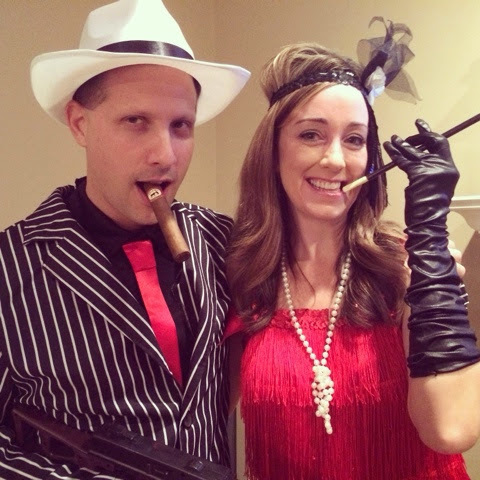 If you follow me on Instagram, then you probably saw a fun glimpse of my Flapper costume. This picture of Jeff and I in our costumes makes me smile every time! Today I am linking up with Erika and Andrea with our favorite things under $10. 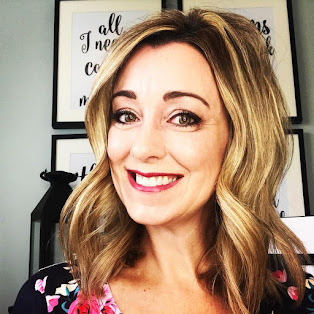 I am a huge fan lately of a few items that I picked up in the Target Beauty Section this Summer and they have pretty much been my make-up staples since. Both items give you just a slight hint of sun-kissed pink without making you look like a clown. 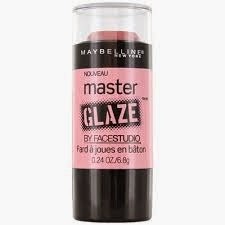 The Master Glaze Blush by Maybelline in Just Pinched Pink is honestly the best blush I have ever tried. I apply it lightly to my cheek bones with a beauty blender and it gives my cheeks healthy sun-kissed pink glow. 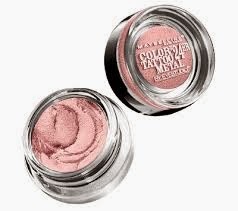 The Maybelline 24 Hour Color Tatoo Metal in Pink is the perfect eye shadow base. It truly does live up to it's name and it stays on all day long as if it were tattooed on! I apply a light coat to my lid with my fingertip and then swipe the residual under my brow which adds just the slightest hint of shimmer. I feel like it really brightens up my face. I will then use my favorite Mac Brown eyeshadow in Satin Taupe on the outer lid and crease. Both shadows compliment each other so well! 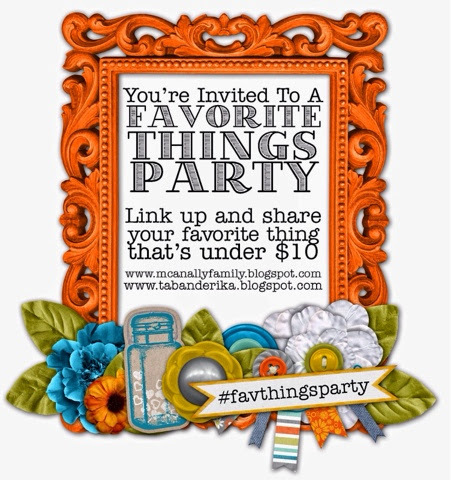 Thank you so much for joining me today for the Favorite Things party. I hope you all have an amazing week! Y'alls costumes are too cute! 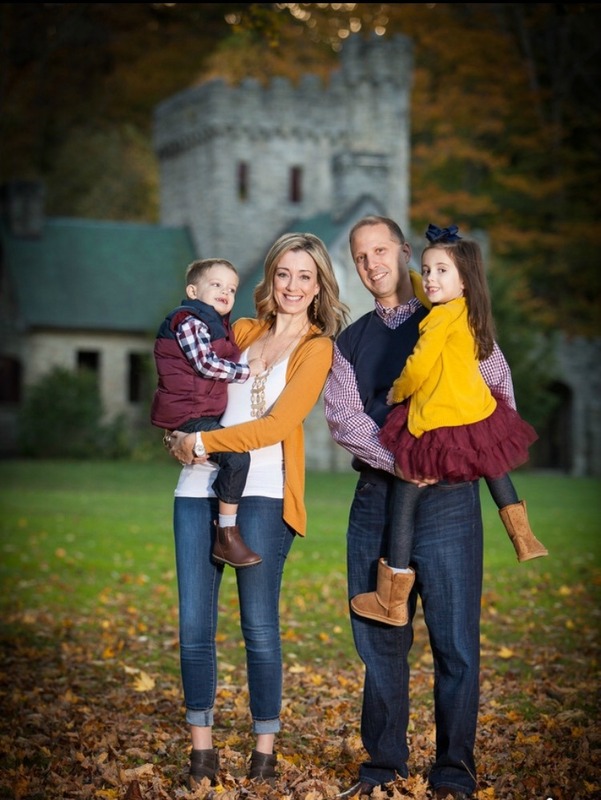 Visit Karen Tucci | Karen At Home's profile on Pinterest. Copyright © The Suburban Style Life. Blog Design by KayLuxeDesign.